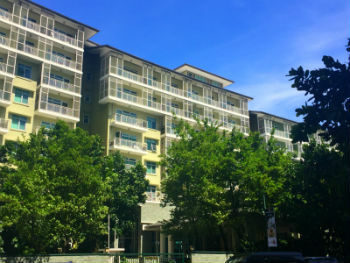 The residential towers rising just left and right of Serendra Plaza restaurant area, blends inside a large garden amenity area, giving a feeling to residents of being far away from the hustle of Manila and BGC when they are at home. Those ten mid-rise towers share the common amenity area made of swimming pools and garden pathways with many large lawns for kids and covered pergola places to relax. The tower names are Palm, Bamboo, Mahogany, Narra and Jasmine for Serendra 1, and Almond, Belize, Callery, Dolce and Encino for Serendra 2. Best Features: Ideal for families, because of the proximity to the international schools of BGC and the large common and safe open amenity area inside the complex.